Owning a modern GPS navigation device needn’t cost the earth – the chances are you already have one in your pocket. 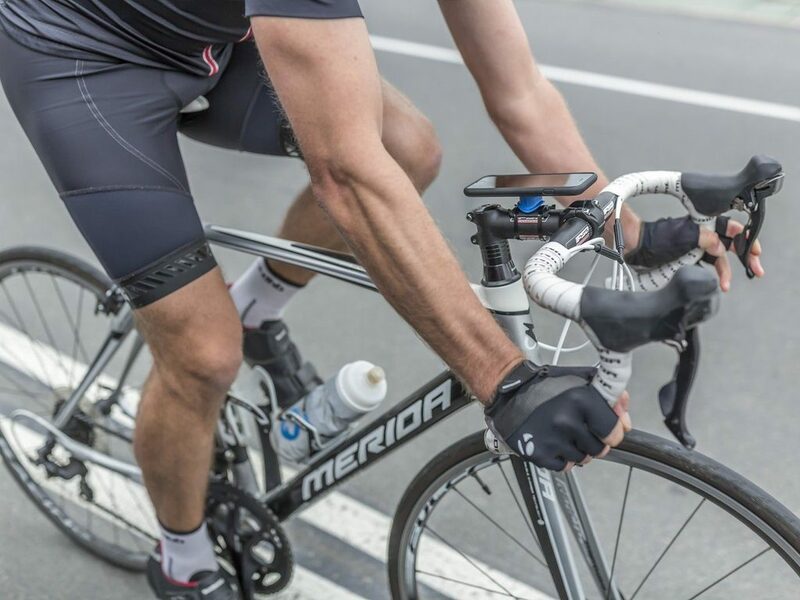 With riders nowadays craving more and more from their cycling computers, we’re inevitably looking to our smartphones to supply the information we crave. With their big touchscreens and powerful processors, many have started to ask why we are continuing to put up with the poorly performing touch screens, the software problems and clunky menu layouts of the likes of Garmin etc, when most of us have a powerful smartphone in our pockets. There’s no better display that that of a modern smartphone, so why not use it? Then comes the price. Modern cycling computers may have become smarter, have larger screens and more features than they used to, but their prices have risen alongside. The latest offering from Garmin (1030) retails at a lofty £499 whilst their entry level unit (the Edge Explore) is still going to set you back over £200. Quad Lock claim to have the answer, and it costs from as little as £45. 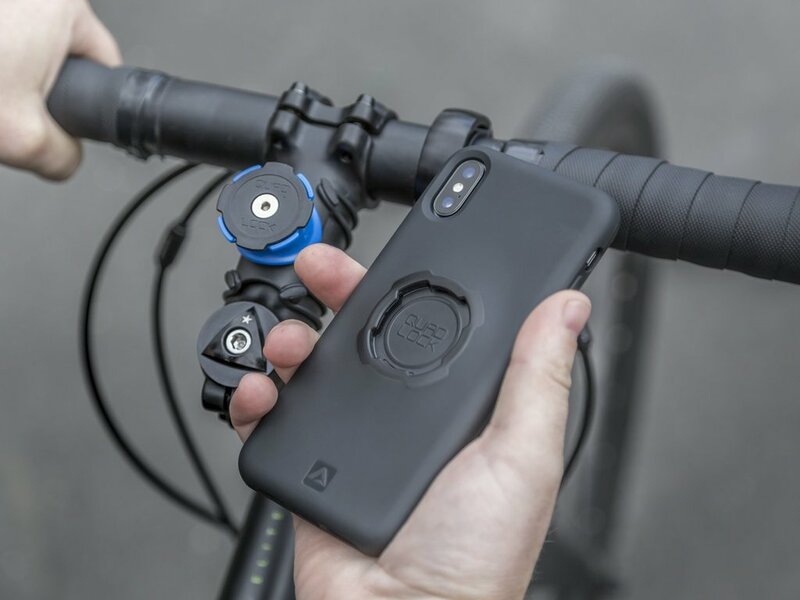 Their patented mounting system allows the user to quickly, simply and safely secure their smartphone to their handlebars (or dashboard, or motorcycle, or surfboard, or wherever!) ready to display all of that data on the large crystal-clear screens that so many smartphones enjoy. 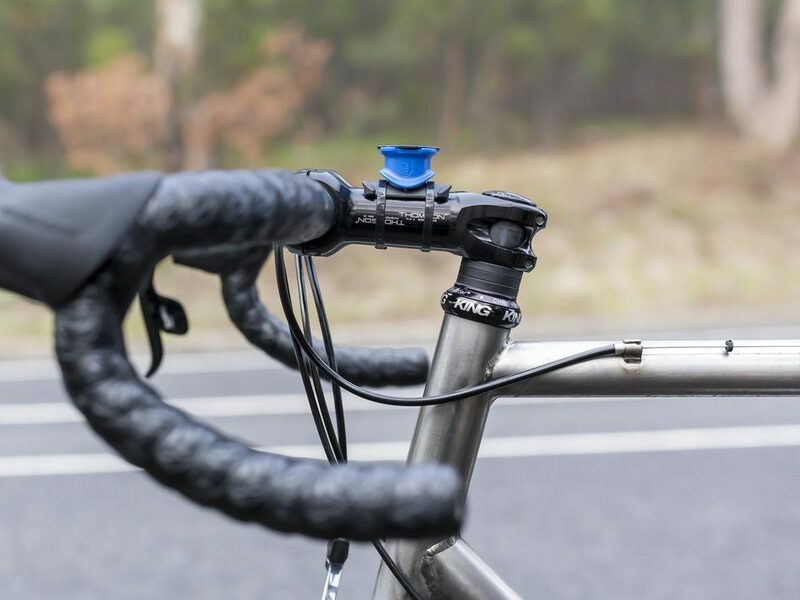 The Quadlock mount can be positioned on the stem or the handlebars. Quad Lock are so confident in the security of their devices that they have weight tested them up to 80kgs, meaning you can rest assured than no amount of cobblestones or gravel road is going to dislodge your beloved device. “But what about the weather?” we hear you cry…. As cyclists, we’re no strangers to adverse weather, and you’re likely asking yourself how Quadlock are going to protect our expensive gadgets from this. Enter the Quad Lock Poncho! The Poncho is essentially a clear silicone rubber sleeve that attaches snugly over the entire phone, sealing it from the elements, whilst still allowing you to use the screen and answer calls etc. The silicone ‘Poncho’ is designed to keep your phone completely dry, whatever the weather. 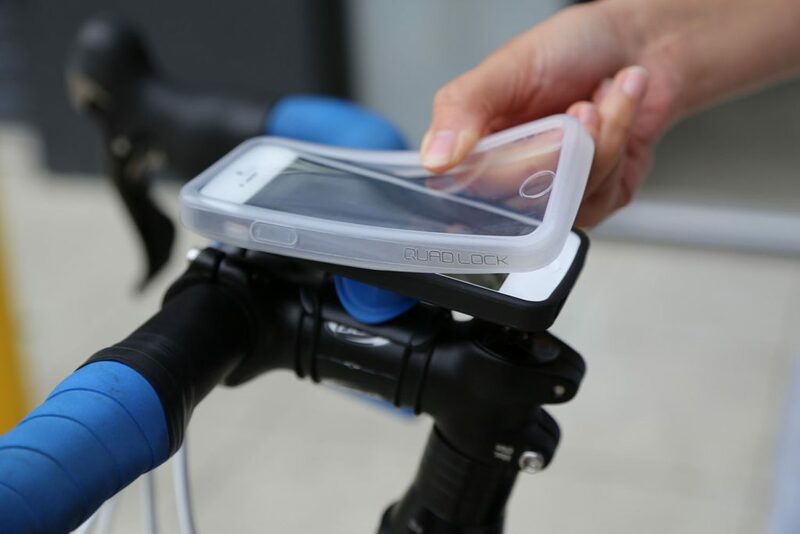 Quad Lock are offering a way of easily accessing your phone whilst cycling, and whatever your thoughts on that are, they do it in a way that your phone stays safe, secure and dry, and they do it very well. Battery life may be a concern to some people. Running navigations apps like Ride With GPS or GPS recording apps like STRAVA can drain battery life fast, especially on older phones, so we recommend carrying a small USB charger with you. This is no bother on a Marmot Tours holiday as the support van will always be nearby, but out on solo adventures you’ll need a small top tube bag, perhaps. 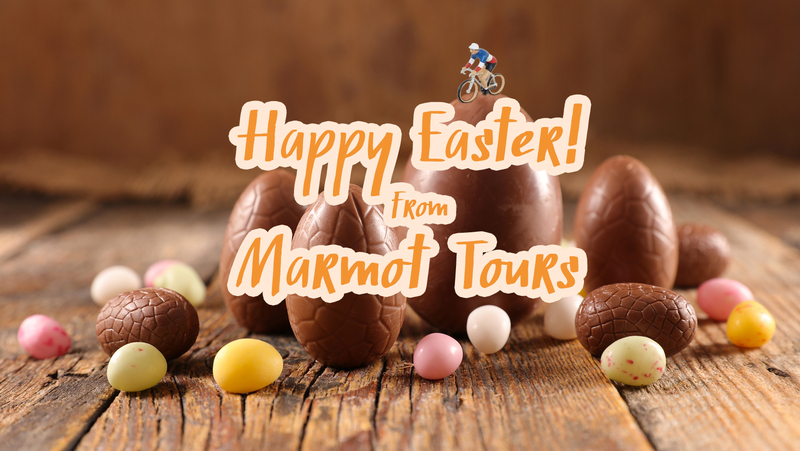 We’re pleased to be able to offer a 10% discount on Quad Lock to any cyclist coming on a Marmot Tours holiday. Once you’ve booked your holiday with us, go to the GPS section of The Link to get your discount code, and enjoy your Quad Lock! There’s a new box in town! Has Rapha Travel cancelled your 2019 holiday? Come on in, the kettle’s on! Tour de France 2018 debrief, literally!